Day one of fashion week was super busy and went by in a bit of a blur. I kicked off the morning at Bewer Street, the new home of fashion week. I have to admit the new location has some negatives and positives that come with it. Negatives have to be the fact the street is still open which means every two minutes you have to dash out of the way of an oncoming car. Not great for capturing street style! A big positive for me is how close it is to everything, Somerset House always felt so far away from everything. 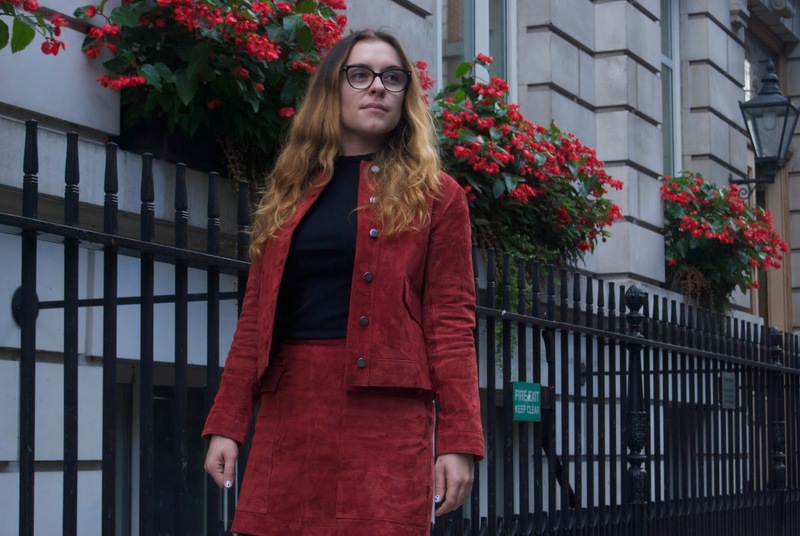 For the first day I wore my new suede suit from Zara, I am drawn to everything suede at the moment so I knew I had to have the set from the moment I laid eyes on it. The red is really eye-catching too, making it very popular for street style snappers. I teamed it up with my new Topshop snakeskin boots or as I’ve been referring to them ‘boots of dreams.’ These were actually a god send as they were amazingly comfy. Comfort has become incredibly important to me at fashion week, especially when I’m working. These will be my go-to boots for autumn/winter. Thanks to Abbie for taking my pics. 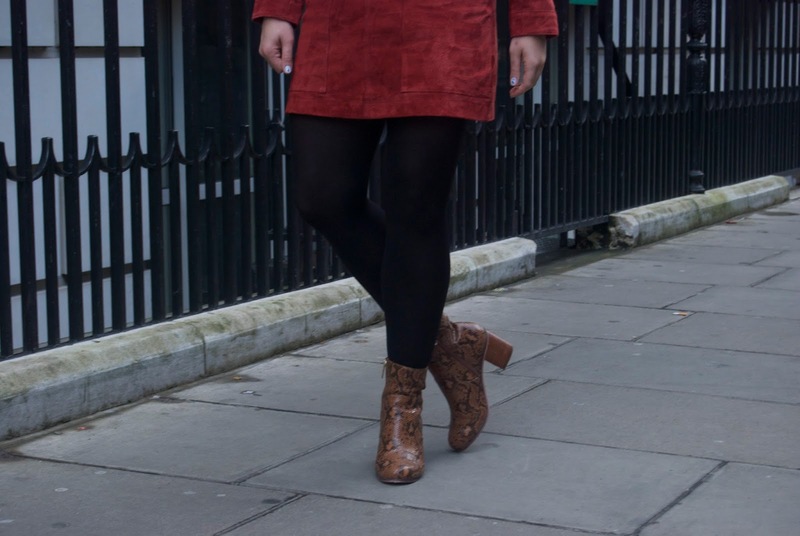 "London Fashion Week: What I Wore Day Two"
The boots are really cool. ERM, hello hotty! 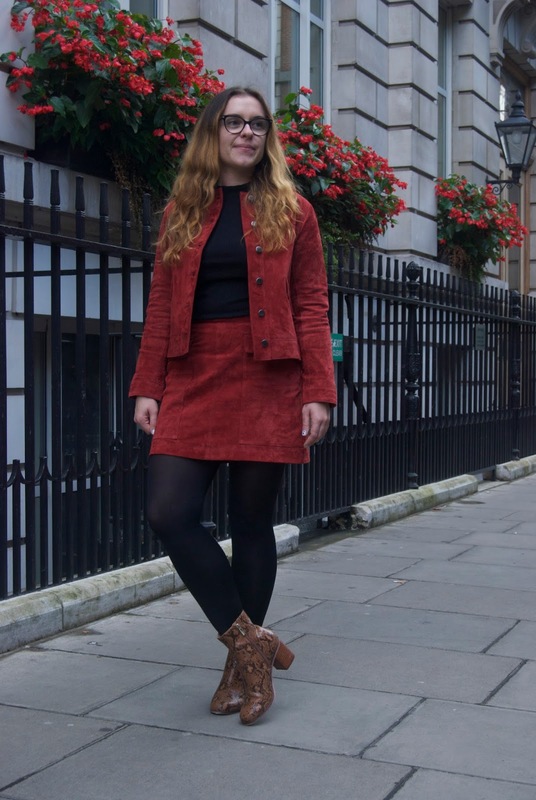 I love this outfit, suede definitely suits you so buy it in every shade! Hoping one day I can get to LFW!